It is not often that we stop to think what our dogs’ lives are really like. In this day and age we barely have time for our own lives, after all! With this article I’d like to put you squarely into four paws – you might be surprised at what you see! Let’s take a medium-sized dog, like the Staffordshire Terrier, which has an average height of about 46cm and compare it with the height of a person who is 1.7m tall. In this case, the person stands 3.7 times as high as the dog. Now, let’s use our imaginations. Imagine a creature that looks and acts different than you, and this creature towers over you – at 3.7 times taller than you, this creature is over 6m tall! It is safe to say that most of us might be a tad intimidated by this imaginary creature! For dogs, this is not a dreamed-up situation though – this is their lives. Just being aware can already make such a difference. Be aware of how scary the simple act of bending over a dog can be. Many factors come into play – just bending over a dog that is already fearful for whatever reasons can lead to that fear escalating. A poorly socialised dog could easily react. The list continues. While you are imagining living with these creatures who are quite intimidating based on size alone, let’s take it a bit further. These creatures are in charge of every single thing you do! They decide when you eat, what you eat, where you sleep, when you exercise and they even sterilise you without really asking your opinion on the matter! Furthermore, they don’t really pay attention to your mood or personal space and will randomly pat you on the head, squeeze you tight, let their children pester you, sometimes even wake you from sleep, without too much concern about how you might feel about this. Is it not amazing how our dogs not just tolerate all of this, but love us unconditionally? They come equipped with sharp teeth, yet they choose to love us even though, if we’re honest, we can be pretty annoying at times! How should I be interacting with a dog? Simply by showing some respect. Once again, put yourself in the dog’s paws. Just like us, they need social interaction. But just like us, they sometimes just want to take it easy on their own. Besides, how would you feel if a complete stranger came up to you without warning, noisily and in your face, and start patting you on the head? Things can easily get ugly! Dogs cannot tell us how social they are feeling. Therefore, refrain from forcing them into interaction. Allow the dog to come to you for attention. 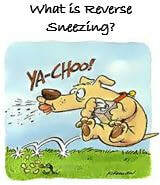 Many dogs don’t really enjoy the fact that we tend to go for their heads – rather gently scratch the back or chest. Do not frighten them by appearing out of nowhere, do not threaten them with direct stares and approach them with your body turned sideways. Basically, keep in mind how intimidating you can appear to them, and show a little respect. 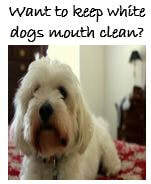 As anybody that has a white dog knows, a dirty mouth happens so easily - here are some tips to keep it white. If you have a mixed breed, by knowing what the breed make-up is, will go a long way to having you understanding why your dog does the things it does - help you to understand what it was breed for, and be aware of any potential health problems/.